Unveiled by Prime Minister Gordon Brown in the presence of London Mayor Ken Livingstone and Nelson Mandela himself. 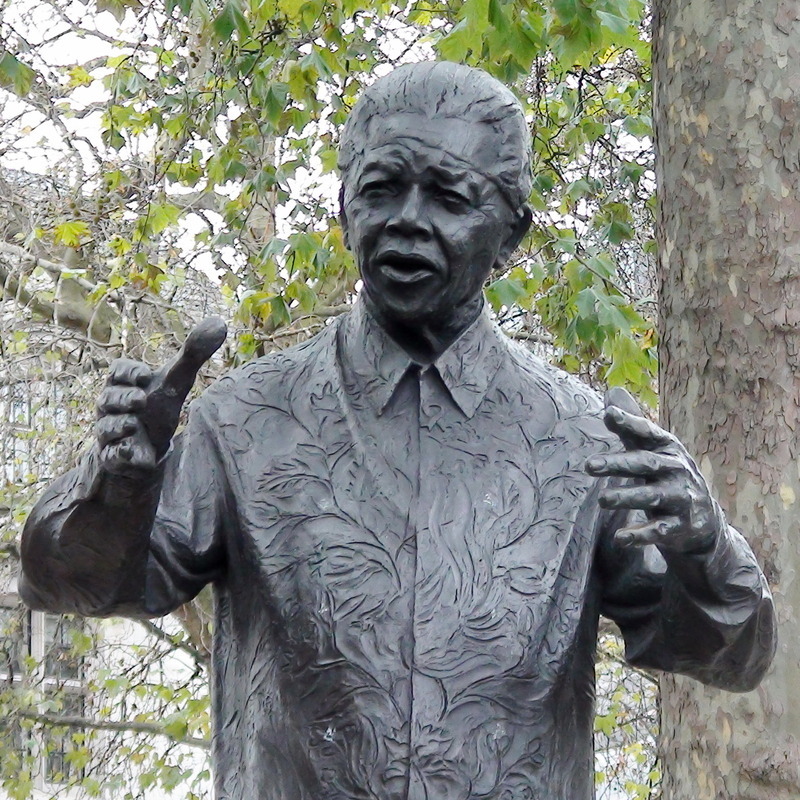 Mandela, at 6 foot, was a tall man but this statue has a minimal base and, in comparison with the other statues in the square, the figure seems accessible, even small, though it is 9 foot tall. He is depicted wearing one of his trade-mark zany shirts. The Morris Singer people in Braintree are proud of this statue. One of the few statues in London unveiled while the subject was still alive. We list all the ones we know about at Fenner Brockway. Our photos were taken a few days after Mandela's death.